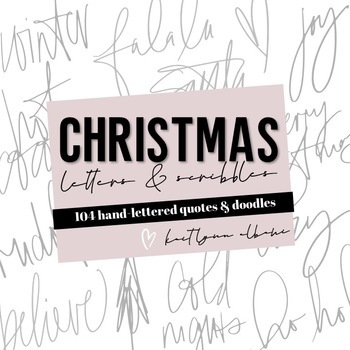 The Christmas Scribbles & Letters pack includes two fonts. 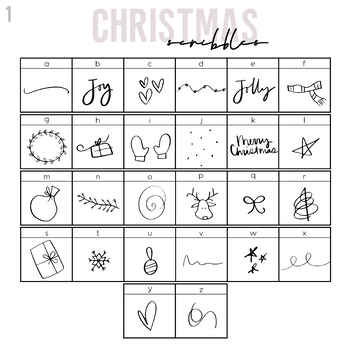 You get 52 christmas words & phrases AND 52 scribbly doodle images. The letters and scribbles sets are a bit different from the normal doodle sets. They are messy, abstract and each doodle is hand-drawn with a brush pen. The brush pen gives the doodles a realistic and unique appearance. 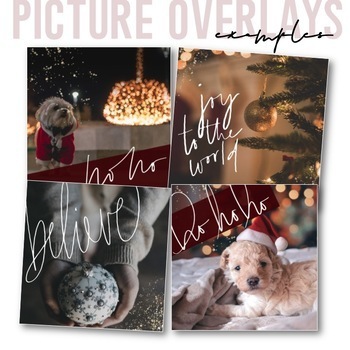 The letters & scribbles sets are most suitable for decoration. Below are some ideas of when to use the scribbles. 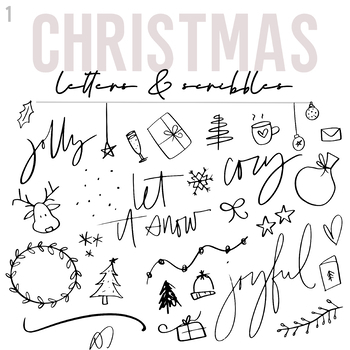 The letters & scribbles sets WILL be included in the doodles bundle!